These digitally-steerable, powered, column-array loudspeakers are designed for professional AV installations where the acoustic conditions are more challenging, such as houses of worship, transportation hubs, convention centres, retail centres or museums. 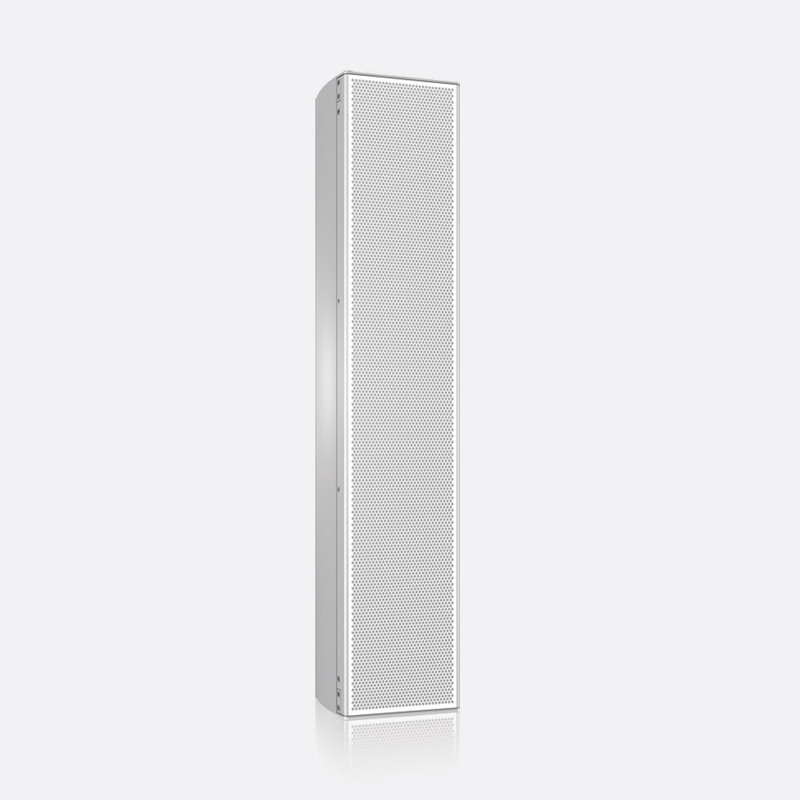 The vertical dispersion of the drivers within these beam-steering speakers can be precisely and remotely set, to ensure the best acoustic output and coverage for the location in which they are positioned - essentially aiming the sound at the position where it needs to be heard. This is particularly important when using for critical voice announcements including life safety or mass notifications. 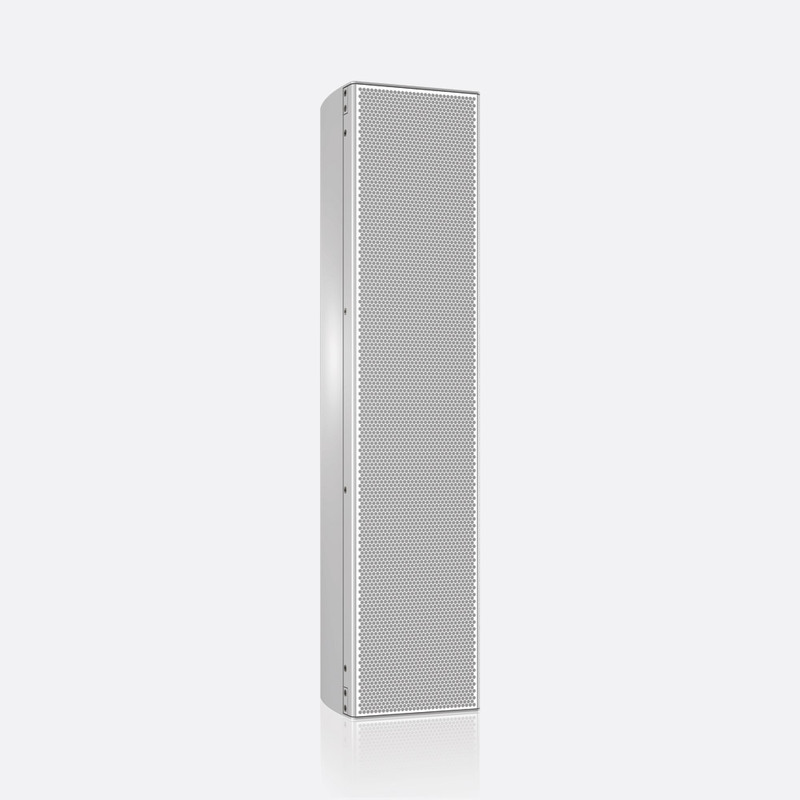 The QFlex series includes six models,made up of modules - larger arrays are assembled on site. Each module houses a number of 4-inch or 3-inch speakers; some have 1-inch high freqency drivers in addition. Each driver has a dedicated 100W class-D power amplifier module, eliminating the need for external power amplifiers and long cable runs. Each master unit (the lowest module in the array) has a dimmed green LED situated on the rear panel that illuminates if the unit is powered correctly. A blue LED on the front of the speaker illuminates for a few seconds on power up and initialisation, remains illuminated if the initialisation fails, flashes (or 'winks') for a few seconds if the 'Locate' function is remotely activated, and flashes continuously to signify a system fault. Two detachable terminal block connectors provide analogue audio inputs, similar connectors provide 'A-B audio link' outputs for linking to further speakers. An RJ45 connector provides a digital input, a second RJ45 'link' socket is provided to link to other speakers. 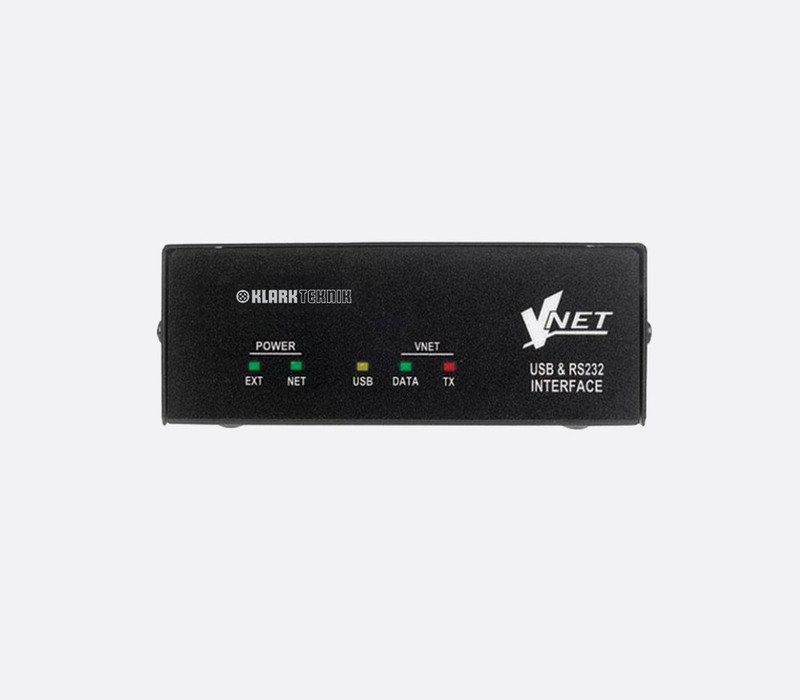 This input can be used for either a 'Vnet' connection for remote control of VNet software and uploading of BeamSteering file data or for an AES digital audio input. The power inlet is a GST18 3-pole female socket. The included 'BeamEngine' software has a graphical user interface to help the user to target specific area where the audio is required. A variety of user-settings can be made, including 8-band parametric equalisation, high-pass filter, delay, auto power-timing, and analogue/digital input mix. 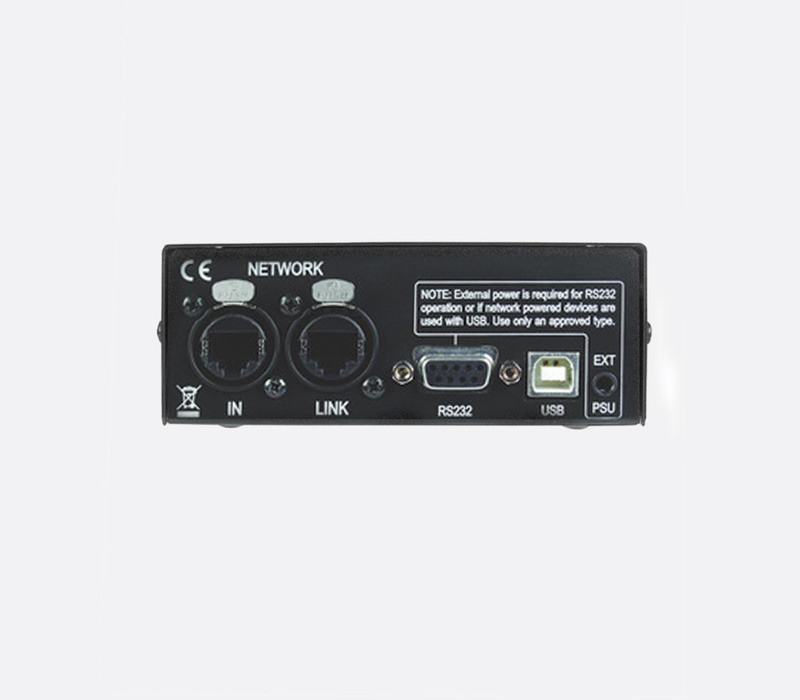 Connection can be made from a compatible PC to the QFlex speaker via the RJ45 input, an Ethernet cable and a Tannoy VNET USB/RS232 interface. Notes: (1): -10dB. (2): For all models horizontal dispersion is 120° and the aiming angle limit is +/- 70°. (3): Average at 30m. 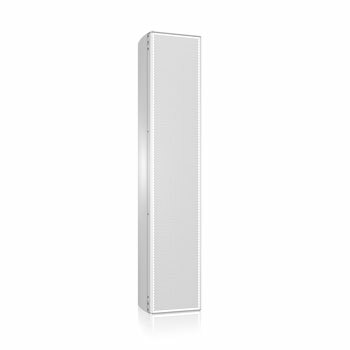 (4): Maximum power requirement, 100V to 240V, 50Hz/60Hz. (5): Width 171.5mm; depth: 150mm. 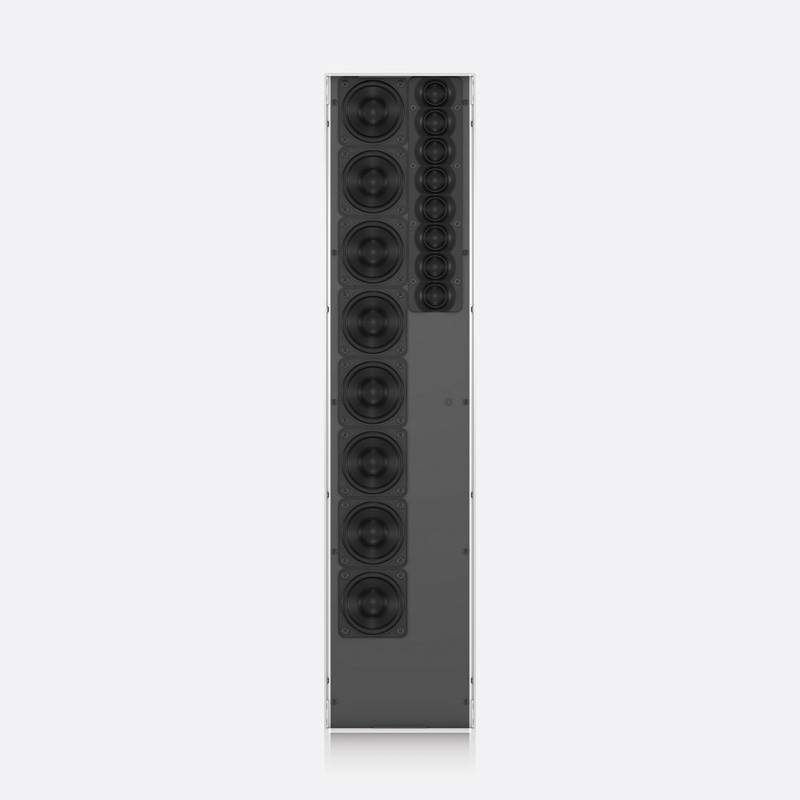 To avoid damage in shipping, Tannoy provide the larger arrays in modular format and include all joining hardware and bracketry within the box.